The passing of David Rockefeller, the patriarch of the famous banking clan, has prompted a lively debate over the future of the Rockefeller family and the globalist agenda in general. According to Professor Valentin Katasonov of the Moscow State Institute for International Relations (MGIMO), it is possible that the billionaire's death will sap the influential financial group's strength. "David Rockefeller's departure from life… could potentially result in the weakening of the positions the financial group had enjoyed for decades," Katasonov assumed. However, geopolitical analyst and Editor in Chief of News Junkie Post Gilbert Mercier believes that it is not as easy as it seems. "Even though Rockefeller was a key figure, and in many regards one of the founding fathers of the globalist world order project, the speculation that his death is a major blow to the financial elite is a pie in the sky. The self-proclaimed Masters of the Universe of Wall Street are as arrogant as ever, all of them are young crocodiles ready to feast on the carcasses of the old ones," Mercier told Sputnik. "Despite Rockefeller's passing, the giant Hydra of the globalist swamp is still thriving: one of the many heads was lost, a few will grow back to take its place. This notion that a body or a board matters more than an organ or an individual is, after all, part of the precept of the globalist doctrine which David Rockefeller helped structured in the early 1950s. Setting up networks, groups or councils of his elite peers was always the philosophy of Rockefeller, and it became the redoubtable strength of the one world order project," the geopolitical analyst explained. Mercier called attention to the fact that under David Rockefeller as CEO, Chase Bank grew through a network of correspondent banks, including some in the former Soviet Union and in China in the early 1970s. It turned into a network of about 50,000 banks and is regarded as the largest financial consortium in the world. "As a key player in the globalist order, Rockefeller was instrumental in setting up the Chase International Advisory Committee (IAC) in the early 1960s. He was the IAC's Chairman until 1999. The IAC was renamed the International Council after Chase's merger with JP Morgan, and by 2005 included 25 members of the global elite from 20 different countries," Mercier pointed out. "Member of this very exclusive financial club included Henry Kissinger, Riley Bechtel, George Shultz, Gianni Agnelli, John Loudon (CEO of Shell), David Packard, Henry Ford II and current chairman Tony Blair," he noted. 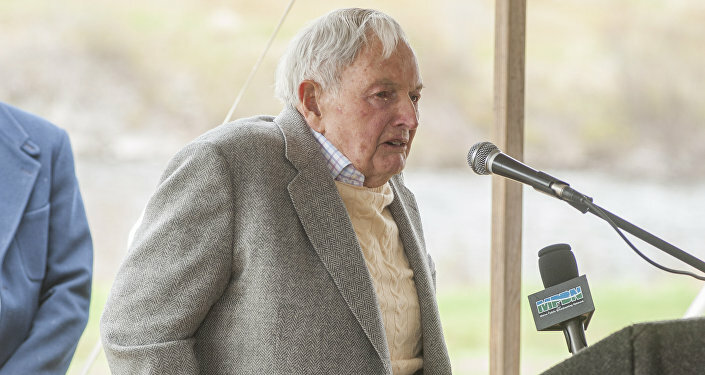 Mercier remarked that David Rockefeller was also "the driving force" behind the creation of the Bilderberg group, where he served for decades as gate keeper, being the only member of the advisory board. 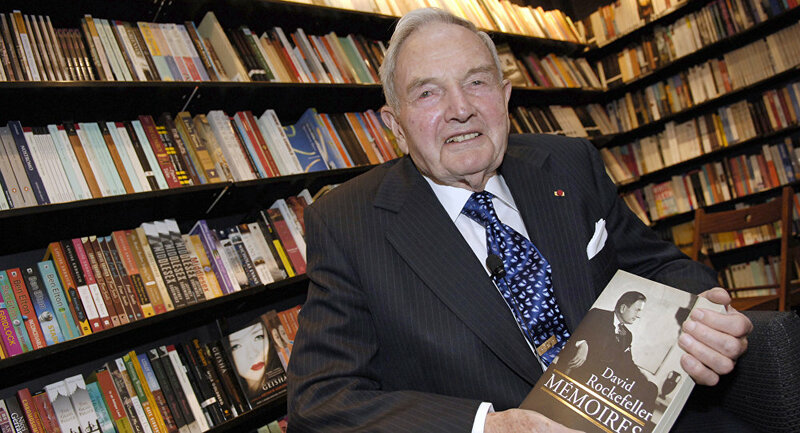 "It is through those various channels and group of people that David Rockefeller quietly but efficiently influenced not only US domestic and foreign policies but also world affairs," Mercier emphasized. Indeed, on March 22, WikiLeaks, an international non-profit organization that publishes secret information, provided a link to 945 documents concerning David Rockfeller from its archives. — WikiLeaks (@wikileaks) 22 марта 2017 г. 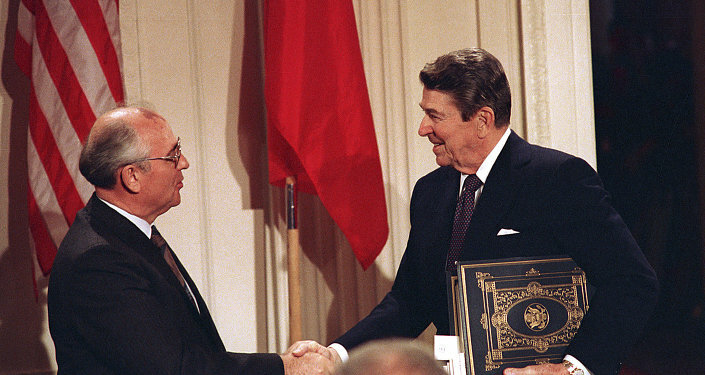 The collection of documents shows that Rockefeller was deeply embedded in US foreign policy. The banker's "sphere of interest" included the Middle East, Africa, Asia, the Soviet space and Latin America. For example, Rockefeller played a significant role in saving Shah Mohammad Reza Pahlavi, after the latter was toppled during the course of the Iranian revolution of 1979. "At Henry Kissinger's request, David Rockefeller has now agreed to assist in locating alternative refuge for Shah and entourage… David Rockefeller would like to minimize knowledge of his own involvement in view of [his] interests in Iran," the cable written on March 23, 1979 read. At the same time, David Rockefeller made efforts to build bridges with Saddam Hussein, then leader of Baathist Iraq, in January 1975. "For the No. 1 Iraqi Baath leader to meet for over two hours with symbol par excellence of US capitalism [David Rockefeller] is indeed breathtaking," a cable dated January 31, 1975 said. It also added that as a result of the meeting, the government of Iraq signed a contract for eight new aircraft worth $220 million, "the largest single contract Boeing has ever signed in the Middle East." "Rockefeller was a behind the scenes adviser of every United States presidents since Eisenhower," Mercier told Sputnik, "Needless to say, his half-century friendship with Henry Kissinger was highly beneficial for the influence of both in world affairs. 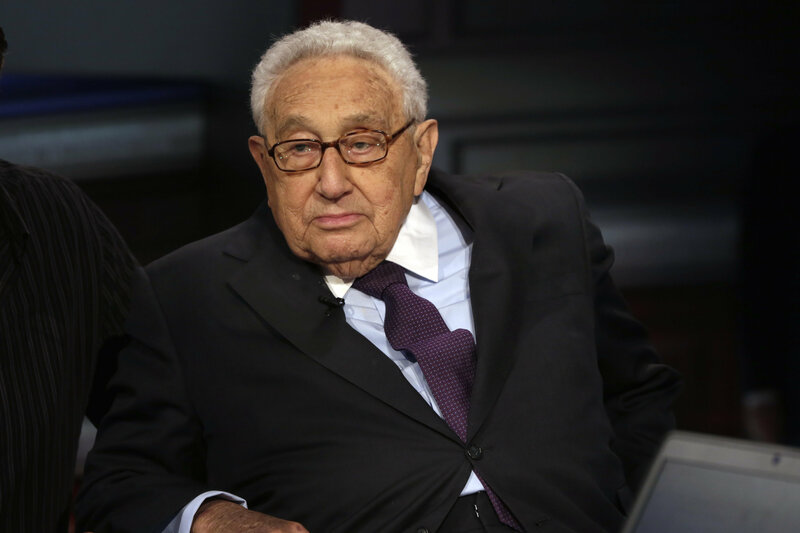 The two men met in 1954, and at first the patronage of Rockefeller was critical to Kissinger's rise as a top policy adviser." 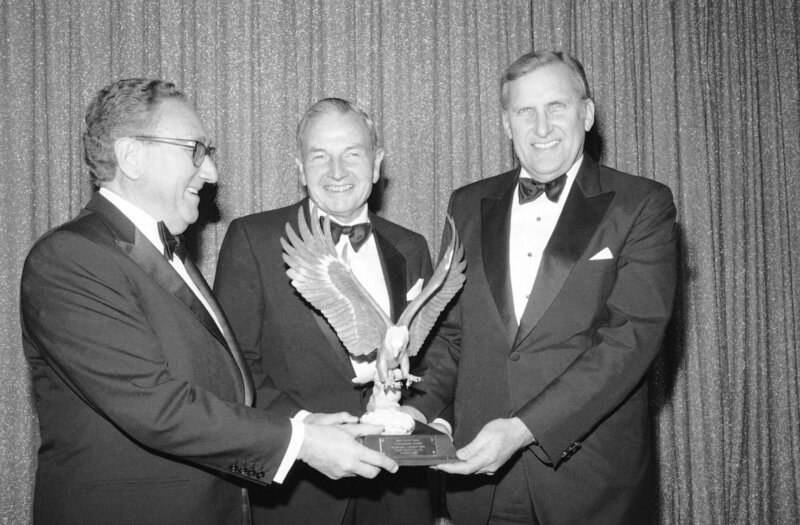 David Rockefeller, center, chairman of the Chase Manhattan's Bank's International Advisory Committee and the banks former chairman of the board and chief executive officer, receives the 1983 International Leadership Award from the U.S. Council for International Business, presented by Dr. Henry A. Kissinger, former Secretary of State, left, and Ralph A. Pfeiffer, Jr., U.S. Council Chairman, at New York's Pierre Hotel on Thursday, Dec. 9, 1983. The award recognizes outstanding contributions to world trade and investment. The geopolitical analyst noted that to his credit, David Rockefeller was always "upfront about his globalist agenda." Mercier cited Rockefeller's Memoirs, which were published in 2002. "Some even believe we are part of a secret cabal working against the best interest of the United States, characterizing my family and me as 'Internationalists', and [accusing us] of conspiring with others around the world to build a more integrated global political and economic structure: one world, if you will. If that's the charge, I stand guilty and I am proud of it," David Rockefeller wrote. Speaking to Sputnik, Mercier remarked that just like George Soros, Rockefeller was "extremely media savvy, and very few news outlets ever dared to cross the billionaire." "Rockefeller was a major force in the corridors of international power personally since the early 1950s, and through his family network for more than a century. In the globalist Orwellian construct, David Rockefeller had seniority, not only in age but in influence, over Henry Kissinger and George Soros," the geopolitical analyst underscored, adding that Rockefeller's relatively modest fortune of $3 billion is suspected to be highly under-reported. While there is no need to demonize David Rockefeller, one should admit that he was a "consummate king maker and puppet master" who had no scruples about dismantling a nation-state' sovereignly. One of WikiLeaks' cables dated June 23, 1977 contained a press report by The Citizen, a South African media outlet, which raised the alarm over David Rockefeller's efforts to influence global politics and US foreign and domestic affairs through two private organizations: the Council of Foreign Relations (CFR) and the Trilateral Commission (TC). "The Rockefellers, with assets and business interests in more than 125 nations, naturally take a more than usual interest in international affairs," the report said, dubbing David Rockefeller and his powerful counterparts "liberal internationalists with the declared aim of bringing about a world government or super-state." The report cited Zbigniew Brzezinski, then President Carter's National Security Adviser and a Rockefeller adviser, who stated that "international banks and multi-national corporations are acting and planning in terms that are far in advance of the political concepts of the nation-state." Will Trump's Ascendency to the White House Upset the Globalists' Applecart? However, some observers believe that US President Donald Trump, a so-called "anti-establishment candidate," may bring an end to the globalist plans that had been propagated by David Rockefeller and purportedly supported by Bill and Hillary Clinton, who had enjoyed the billionaire's backing for decades. Still, Mercier remains highly skeptical. "The Brexit vote in the UK and the election of Trump in the US were a reaction against the looming monstrosity of a world government dominated by a rarefied oligarchy, but at this juncture the globalists are alive and kicking, as the anti-establishment 'drain the swamp' rhetoric seems to be not much more than a flash in a pan," the geopolitical analyst told Sputnik. "America Empire Inc. might have a new CEO, but the same people are still in control of the board, and if he was still alive, David Rockefeller's voice would be heard on it. 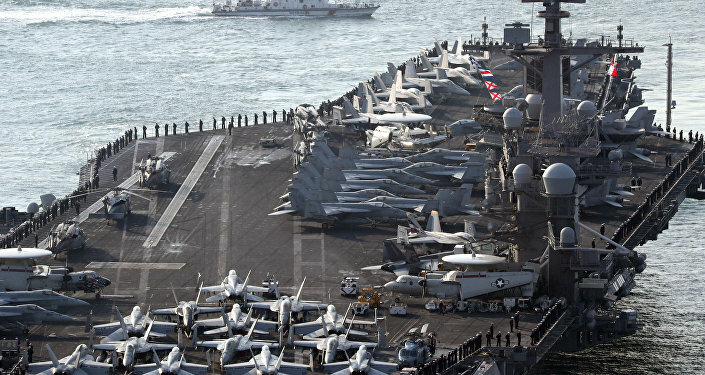 Trump's budget proposal tells the story accurately: while most areas of the meager American social safety net could experience a cut the Pentagon budget would increase by an astronomical 10 percent," Mercier highlighted. "Donald Trump has always been about money and business; as such he has already understood that the core division of America Empire Inc. is the military-industrial complex. So much for draining the swamp and taking on the globalist Hydra!" the analyst concluded. Gilbert Mercier is the author of The Orwellian Empire and the editor in chief of News Junkie Post. Is Trump Giving the Pentagon Free Rein to Wage War as It Likes?